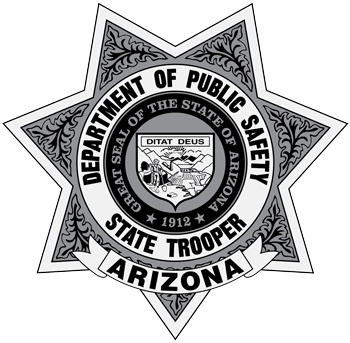 Ehrenberg, Ariz. — On January 24, 2019, just before 1:00 p.m., the Arizona Department of Public Safety (AZDPS) received notification from the California Highway Patrol (CHP) regarding a vehicle several California law enforcement agencies had pursued, beginning within Yucca Valley, CA. The information provided indicated the suspect was dangerous and armed with a handgun. He was said to have multiple outstanding felony warrants for corporal punishment/spousal abuse (no bond) as well as an active felony warrant with a bond of $250,000 for credit card fraud. Specifically, the suspect had a background of arrests related to violent crimes. The suspect also had an active order of protection against him and was on probation for domestic violence. The vehicle the suspect was driving was described as a white 2006 Ford Focus. CHP indicated the vehicle was last seen traveling eastbound along Interstate 10 (I-10), toward the Arizona border. Based on the fact the suspect vehicle was registered to an address in Quartzsite, AZ, CHP personnel believed that may be the suspect’s destination. As a result of information provided by CHP, Arizona troopers began to stage eastbound on I-10, near the California state line. At 2:15 p.m., troopers and one La Paz County Sheriff’s Office deputy located the vehicle on eastbound I-10 as it exited at Ehrenberg Road. The suspect proceeded north on Ehrenberg Road, where authorities initiated a traffic stop. Troopers attempted to negotiate with the suspect and gave him repeated commands. The suspect refused to comply. While being given orders to keep his hands in sight, the suspect made a rapid and furtive movement indicating a lethal threat to the troopers and the deputy. As a result of the suspect’s actions, troopers and the deputy responded to the threat with lethal force. The suspect succumbed to his injuries and was pronounced deceased. 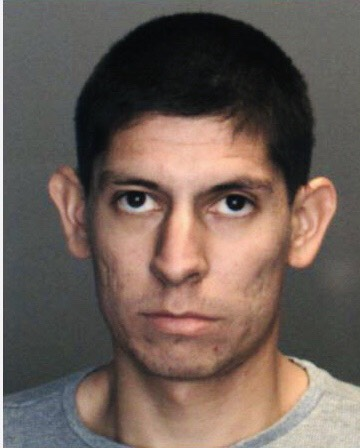 He was identified as 26-year-old Christian Albarran of Yucca, California. The incident remains under investigation. Updates will be provided here as they become available.